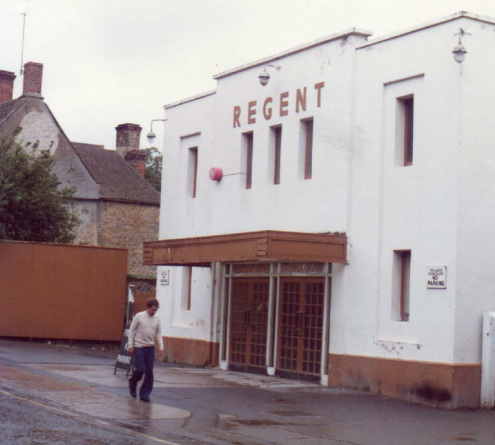 Regent Cinema - Faringdon Community Website. Looking at the front of the cinema from the pavement either side of the front doors were two stills holders showing still shots of key moments/actors etc of the up-and-coming attractions. On the two adjacent walls there were large glazed frames holding the posters. On Sunday mornings it was my job to change the stills and posters for the coming week and the information board just inside the foyer on the right hand side. This board gave the names of the films (usually a second feature and a feature) and their censor’s category- in my time U A and the infamous X - along with the start and finish times. Enter through the front doors and you were in the foyer. Directly in front of you was the cash desk where you bought tickets and to the left was a kiosk selling cigarettes, sweets etc. Mum and Dad used to alternate between these locations. To the right of the foyer was a small staff room. 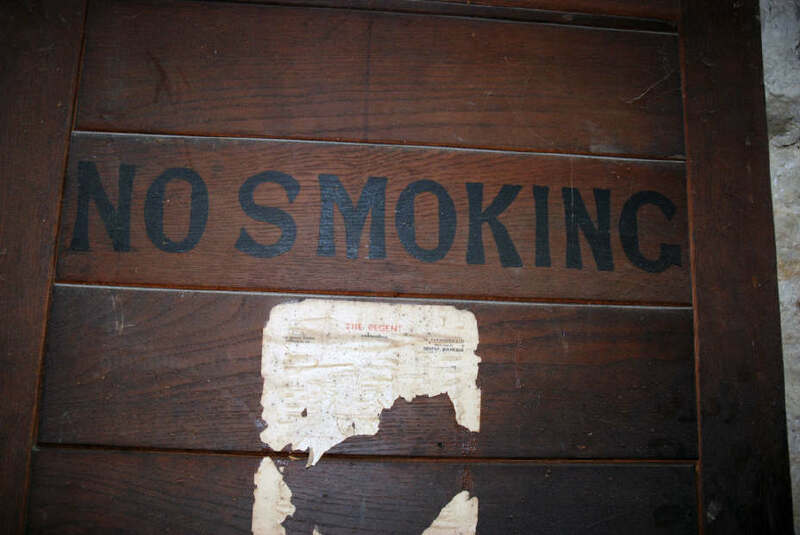 On either side of the cash desk were two doors that led into the auditorium past the toilets and the constantly humming Rectifier Room locked and respected! As I recall the seats were priced 3s 9d, 2s 8d and 1s 9d. There wasn’t a balcony but approximately 330 seats all on the ground floor sloping down to the screen. Above the Foyer on the first floor there was the Manager’s Office and the Poster Room where the stills and posters of up and coming attractions were kept. There were two projectors, each having a changeover switch on the floor beside it. As a projectionist you sat on a tall swivel stool and watched the film through a small window. Near the point of changeover when the projected reel was nearing its end you would start up the second projector that would then stay in paused mode. You then watched for red dots that appeared in the top right of the picture on the main screen. I think there were three sets of dots and on the third you would press the changeover switch. The next reel and projector would take over allowing you to stop the first projector take the reel off and into the rewind room. We had to manually rewind the reels to get them back to the correct start position ready to be put into an aluminium case for transportation to the next cinema. It must be said that on occasion the rewinding reel would outpace my winding and film would spool all over the floor! I must also confess that on at least two occasions I showed the reels in the wrong order: sorry if you were there when this happened! Dad had been in the film industry as a sound recordist working for the GPO Film Unit. One of the films he worked on was Night Mail, a film documenting the overnight mail express train running from London to Scotland. My brother and two sisters all worked in the cinema at some stage in their lives. My brother and I became projectionists when of age (remembering censor categories) and my sisters worked as usherettes. Ted Pawley may well be remembered from the Saturday morning show for kids: if things got out of hand he would have the lights turned up so that the picture virtually disappeared. He was also fastidious about the cleanliness of the forecourt and when a car parked under the ‘No Parking’ sign he was known on occasion to stick a potato up the exhaust. When the owner returned, there would be much chugging and popping before the potato was fired across the road to splat against the Corn Exchange, giving the driver (and any hapless passing pedestrian) an awful shock. Dad died in 1966 after nearly 20 years as manager. 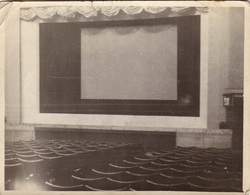 Films ceased to be shown in 1969 when the cinema went over to bingo. 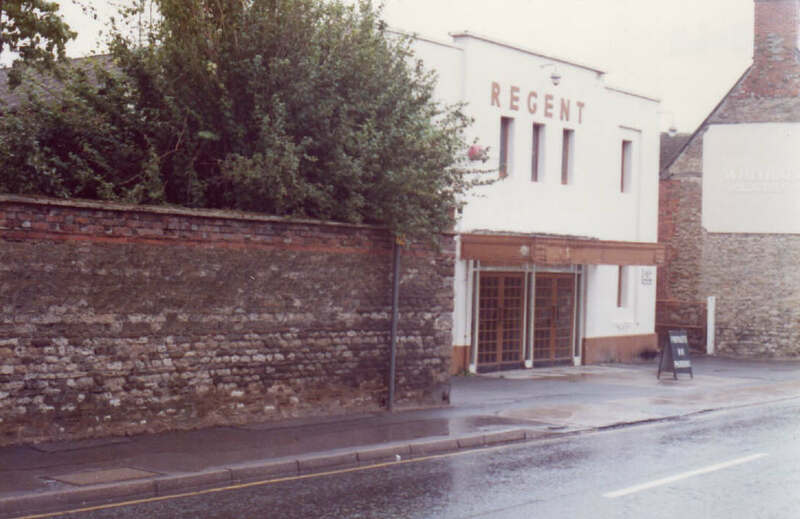 This too had closed by 1981; the building was demolished in 1984 and houses built on the site, the development being known as Regent Mews. 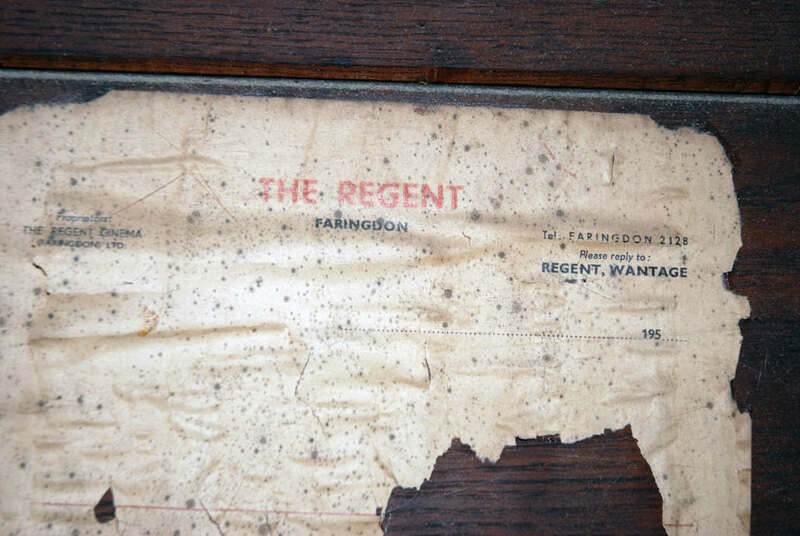 ** Fascinating that the cinema is once again back in the Corn Exchange and called The Regent.